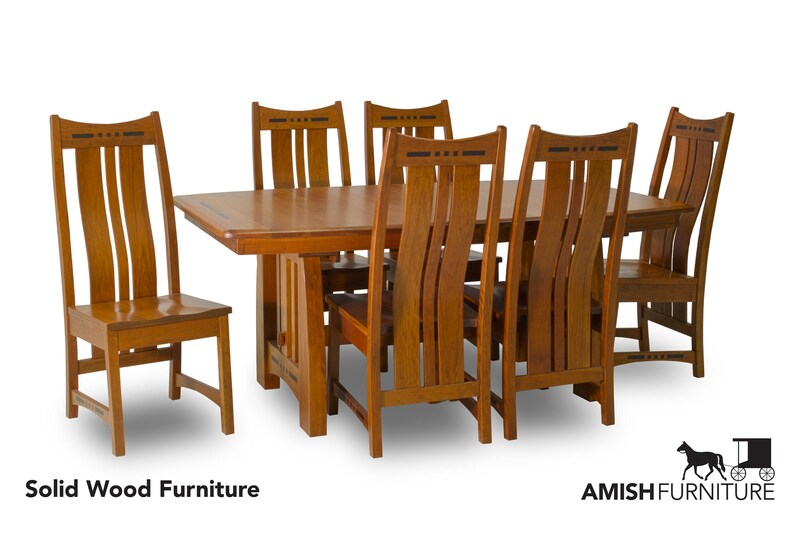 Bring warmth and beautiful detailing to your dining area with this Amish-crafted dining set. 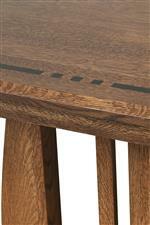 The table features a classic boat-shaped top with traditional ebony inlays. 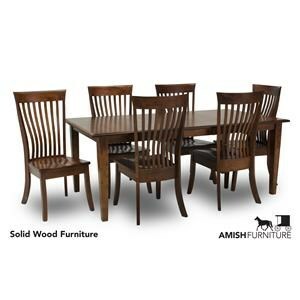 Crafted from solid wood using traditional Amish construction techniques like steam bent backs, the table and chairs ensure style and durability to last a lifetime. Highly customizable, the table can be ordered with up to four 12" leaves, with hundreds of possible combinations for the wood type, finish color, and table edge. 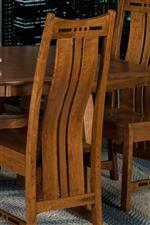 Create a dining set that speaks to your style and family with this set's warm Mission style and customizable options. The Hayworth 7 Piece Dining Set with Slat Back Chairs by Amish Impressions by Fusion Designs at Ruby Gordon Home in the Rochester, Henrietta, Greece, Monroe County, New York area. Product availability may vary. Contact us for the most current availability on this product. 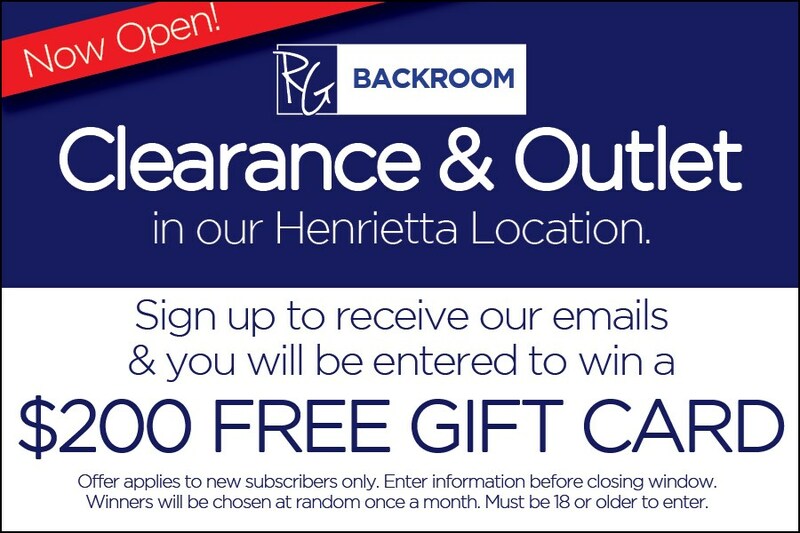 The Hayworth collection is a great option if you are looking for Mission furniture in the Rochester, Henrietta, Greece, Monroe County, New York area. Browse other items in the Hayworth collection from Ruby Gordon Home in the Rochester, Henrietta, Greece, Monroe County, New York area.